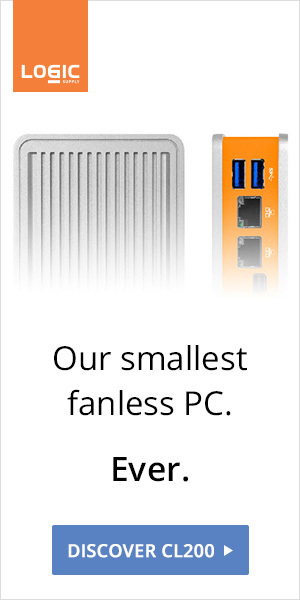 The 15W U-series powers Ultrabook, MacBook Air, the entry-level iMac, and the NUC. 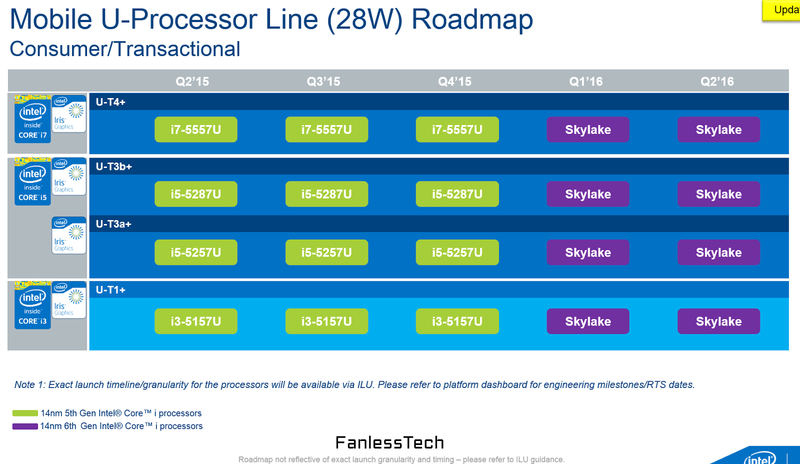 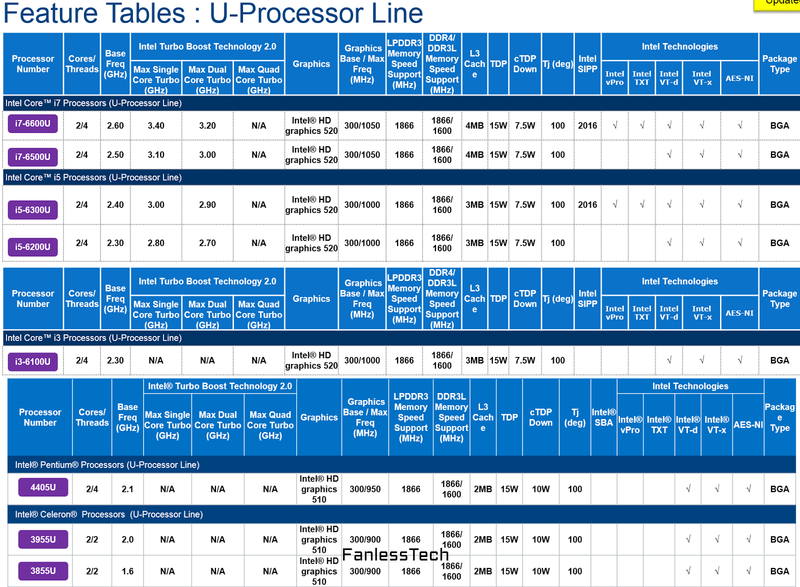 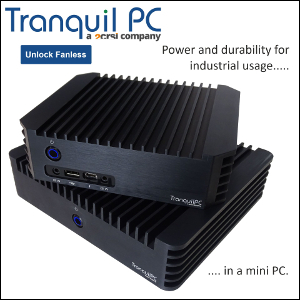 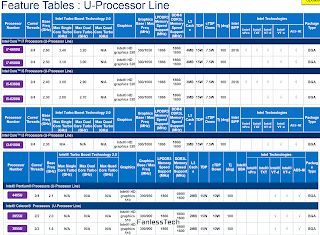 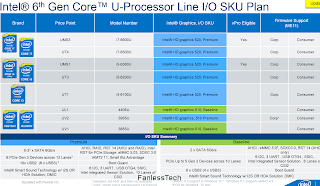 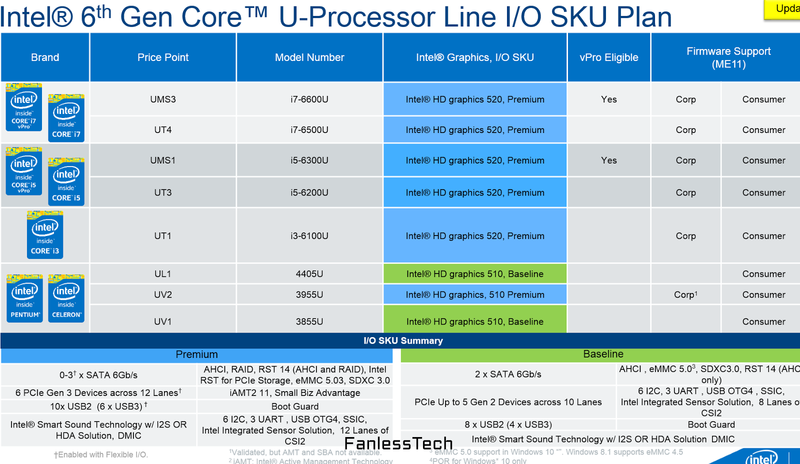 Compared to Broadwell-U, Skylake-U looks streamlined and is easier to understand. 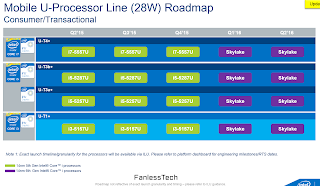 Actually - aside vPro chips - there will be just one i7, one i5, one i3, one Pentium, and two Celerons available.